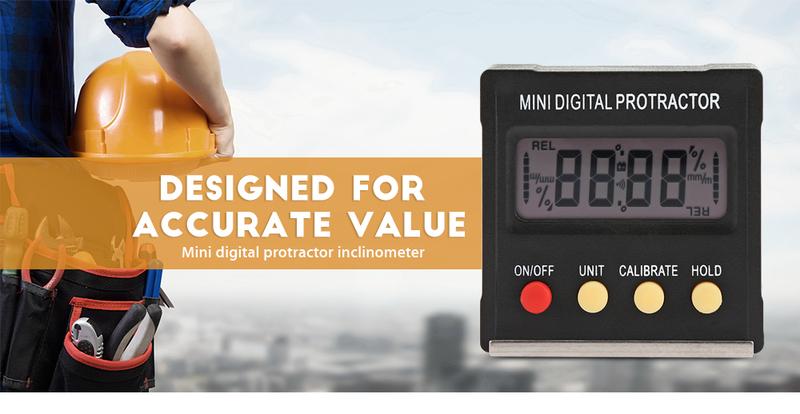 This magnetic digital angle locator is a small and compact, but highly accurate digital angle. Locator tool for measuring any angle. This digital angle locator can measure in absolute or relative measurements for determining the exact angle or the difference between 2 angles. 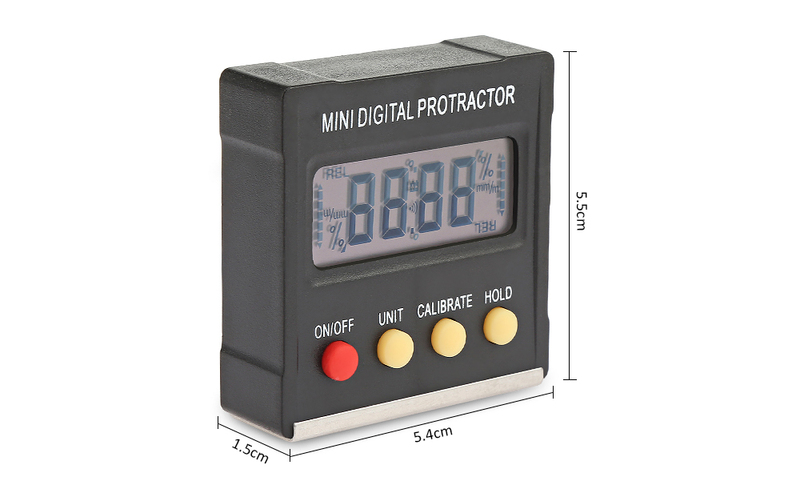 Our mini digital protractor provides quick and accurate measurement in auto repair, machine manufacturing, constructional engineering, and decoration. 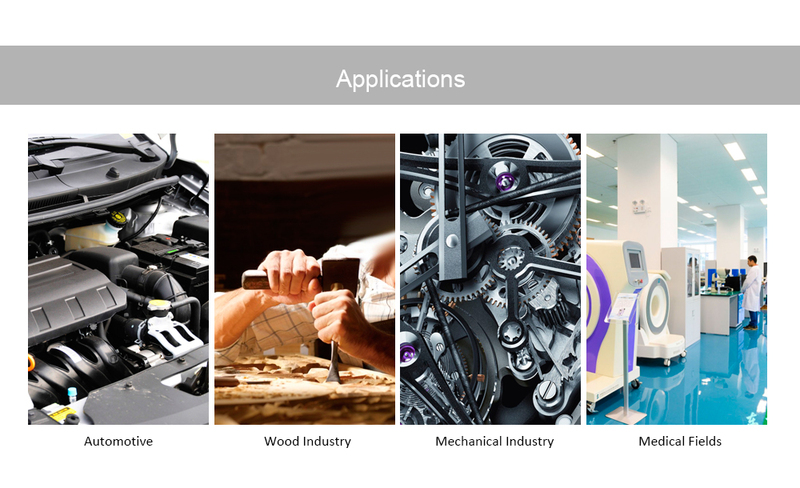 It's a must-have for woodworking, construction, machinery, telecommunications, automobile, etc. Relative and absolute measurement can be interchanged at any position. And equipped with an angle and slope readout conversion. 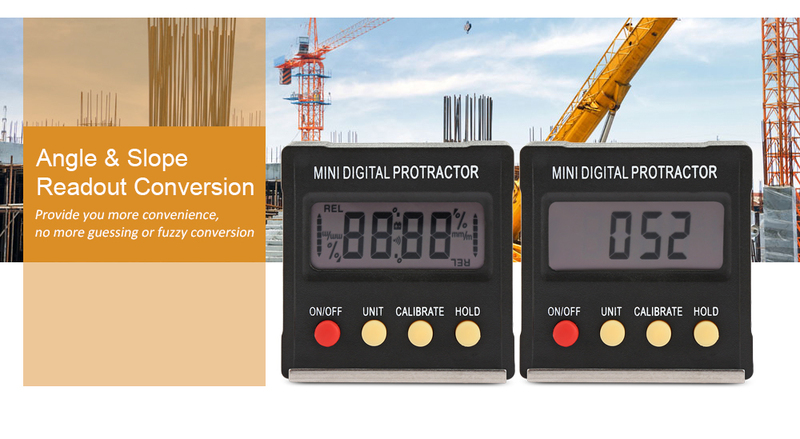 Magnetic base allows this digital angle gauge to be attached to any ferrous metal surface. 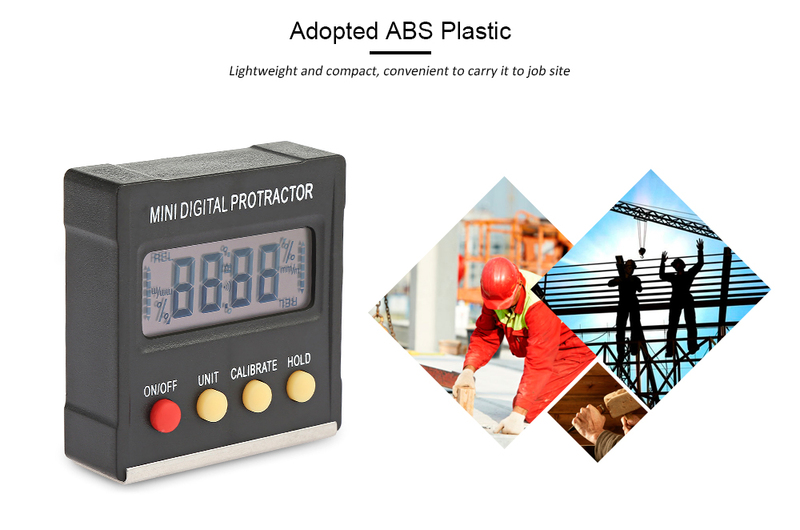 Constructed of aluminum alloy and ABS, this angle inclinometer is compact and lightweight, convenient to carry around from job site. Power-off automatically in 5 minutes.